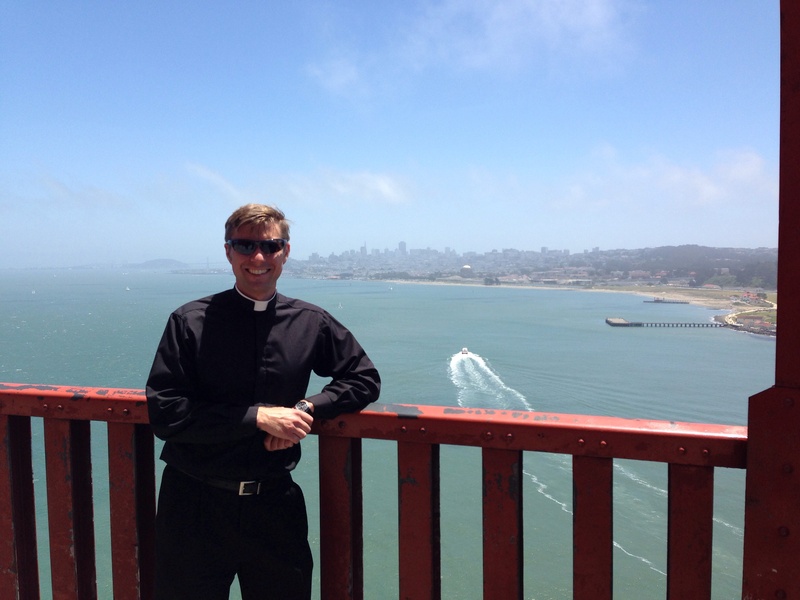 A picture from the Golden Gate Bridge with San Francisco in the background. My travels have taken me to the San Francisco Bay Area, and apparently just in time for Gay Pride Weekend that is going on as I type. Thankfully, I have no need to go to downtown this weekend, so I will avoid seeing the debauchery. I told him that I agreed with his underlying point, that homosexuality is wrong, but that I disagreed with the way in which he was communicating that message. His approach lacked charity and was probably turning away more people than it was bringing to Christ. Telling people that they are going to burn in hell is not a good way to help them experience God’s mercy and love. At this point in the conversation, people were beginning to gather around, and others were looking out the windows of the office building to see what was going on. iPhones were coming out, so to avoid showing up on YouTube in collar and being misinterpreted as a pro-homosexual priest arguing with an anti-homosexual, I decided to move on. 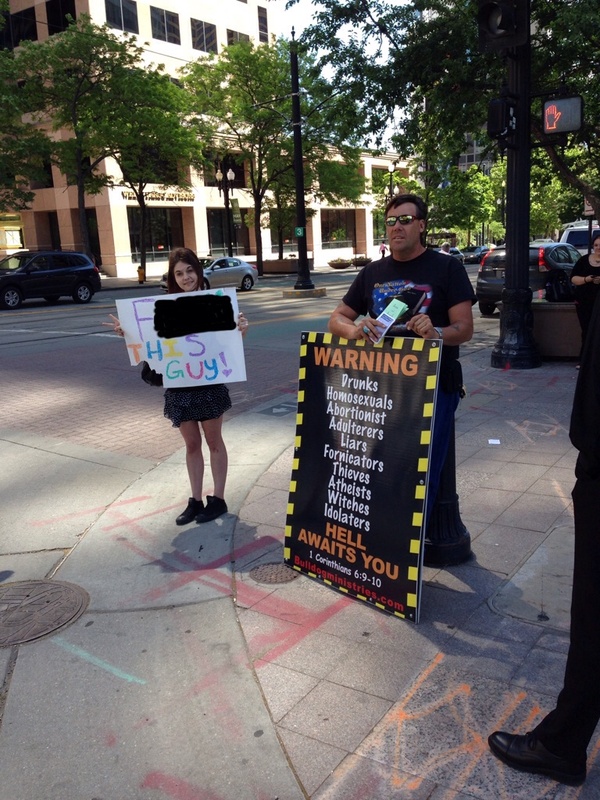 I overheard the girl holding the other sign saying that she was a lesbian. I did not have the chance to speak with her long, so I just gave her a friendly smile and told her that I would pray for her. to win people to Christ. 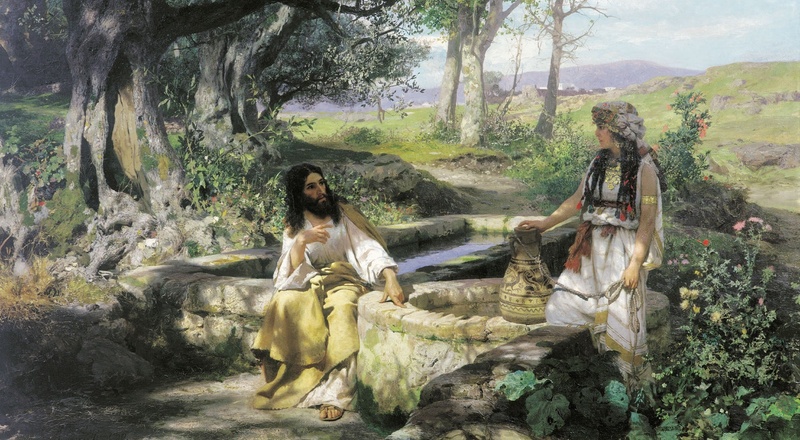 We must be like Christ with the adulteress and with the Samaritan woman at the well (cf. John 4): first show them you love them, and then help them see the truth. The truth may be painful for them, but if communicated with Christ-like love, they will accept it and it will set them free.